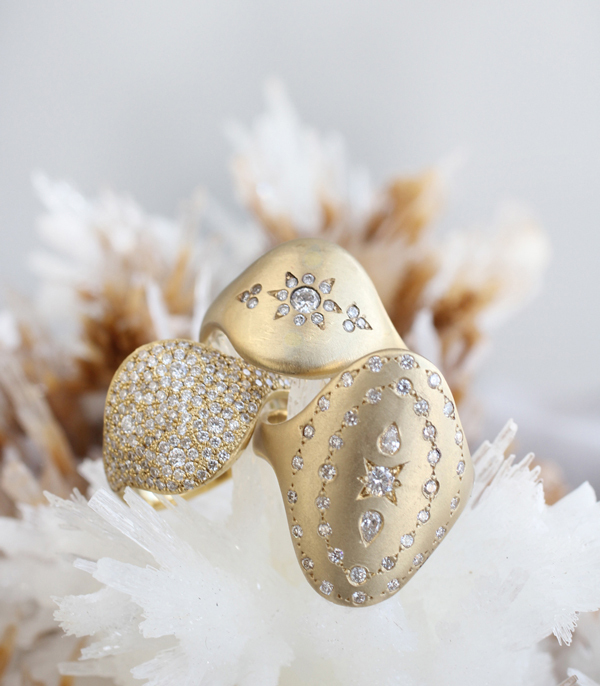 Celestial and statement-making, this all glittering round shield ring is positively radiant. 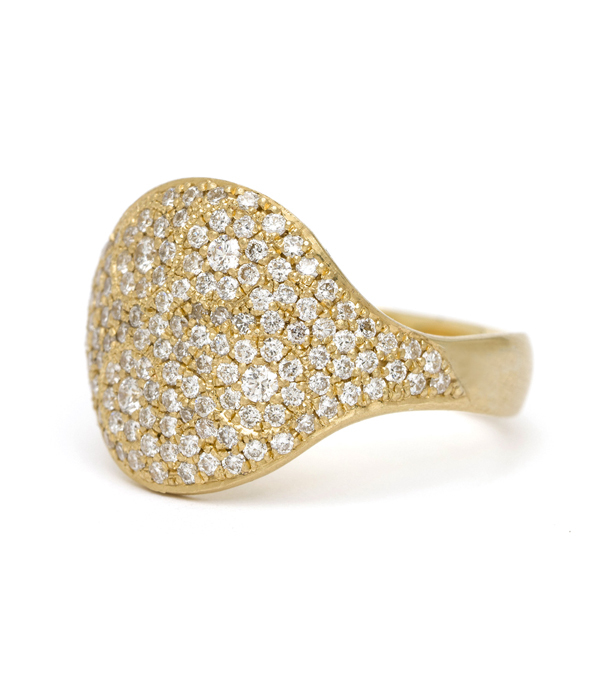 A symbol bearing protection and strength, this round signet style shield ring is classic enough to wear everyday and become an enduring part of your style. 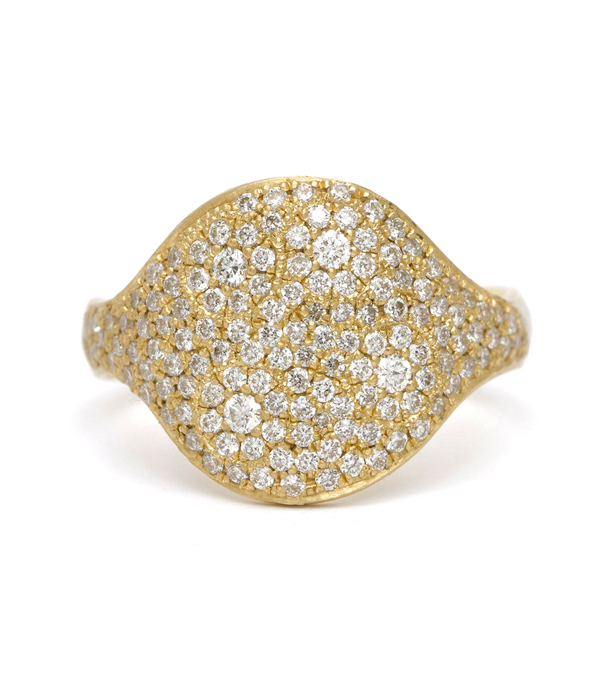 Cast in sold 14K gold, this statement ring is set with our signature Galaxy Pave diamond setting(0.68 ctw). 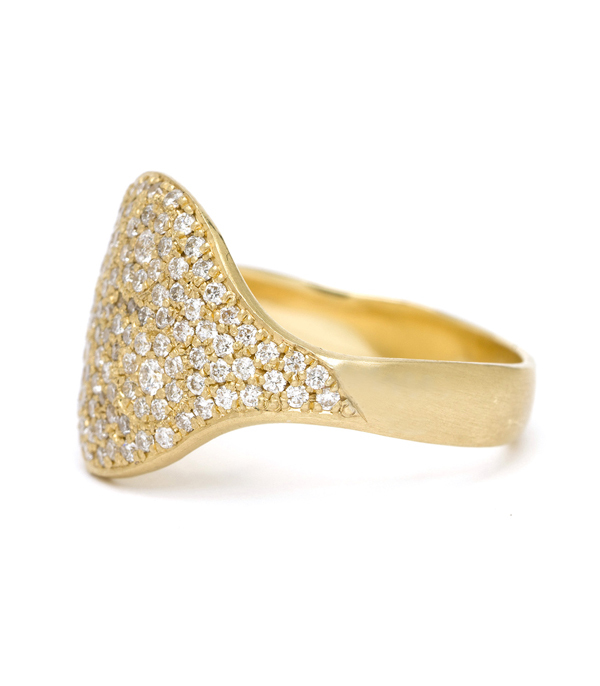 This ring is also available without stones, engraved or set with a variety of options. The possibilities are endlessly dreamy. Please contact a stylist to discuss your favorite option. Categories: Classic Darling, Rings, Tinelli's Favorites, Torn Paper.